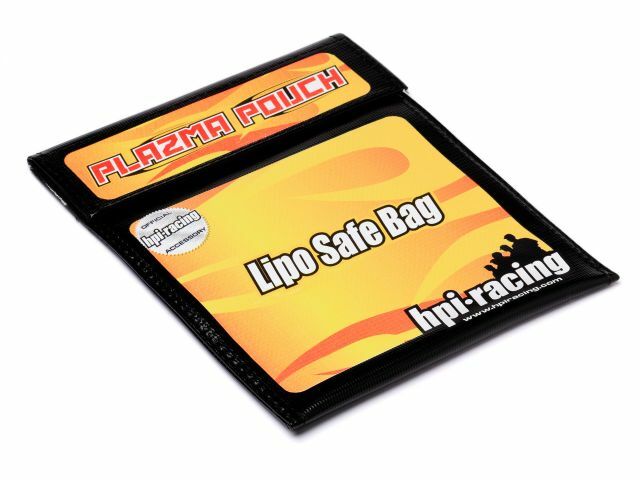 Charge your LiPo batteries with confidence using the HPI Plazma Pouch LiPo Safe Bag! The HPI Plazma Pouch is the perfect place to charge and store your Plazma LiPo batteries or any other brand of LiPo batteries. The Plazma Pouch is flameproof for protection from overcharged or damaged batteries. It is a highly recommended safety device for anyone using LiPo batteries.